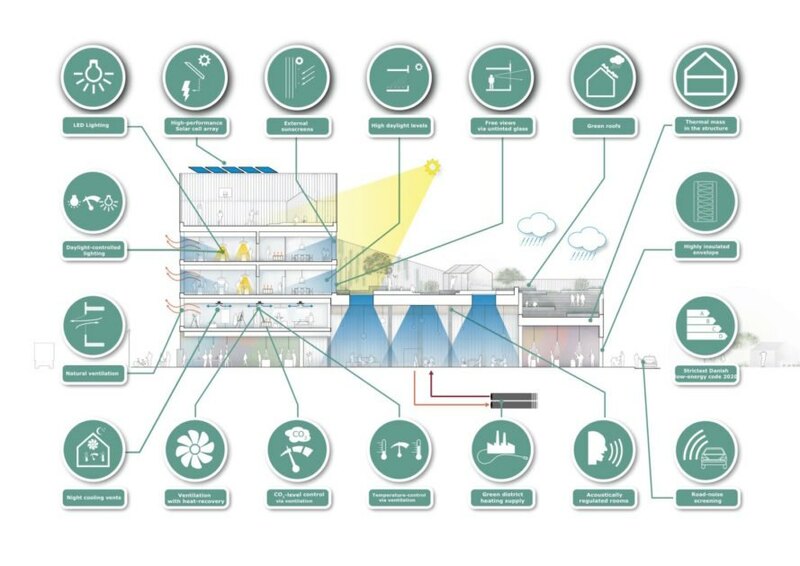 <a href="https://inhabitat.com/tag/c-f-moller/" rel="noopener" target="_blank">C.F. 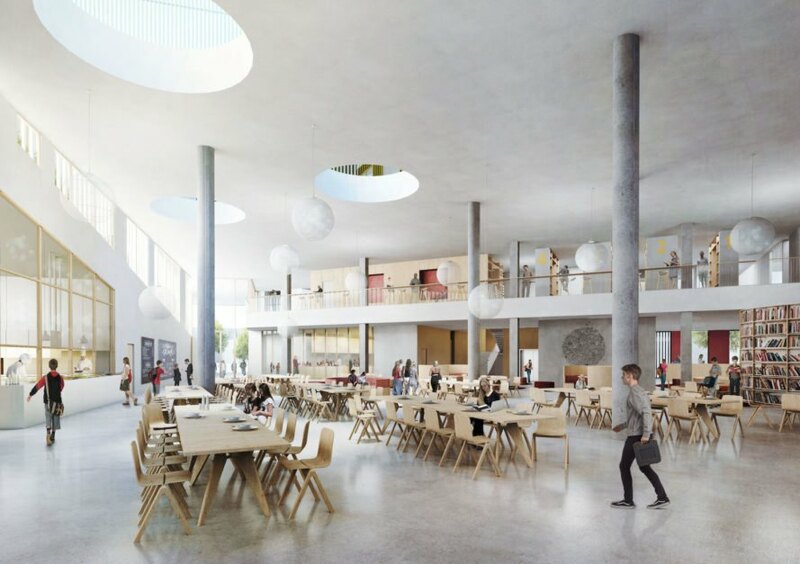 Møller</a> has unveiled new renderings for the New Islands Brygge School, an innovative lower-secondary school that takes a more hands-on and experimental approach to learning. 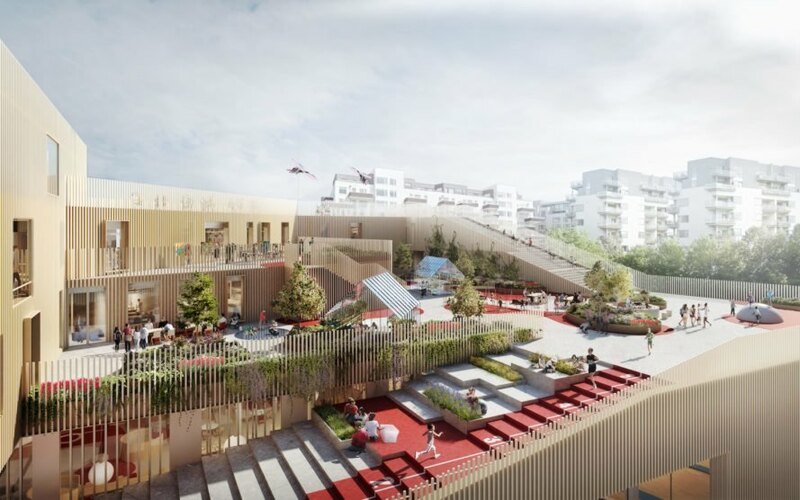 Located in the heart of <a href="https://inhabitat.com/tag/copenhagen/" rel="noopener" target="_blank">Copenhagen</a>, the 9,819-square-meter school will teach children how to harvest and cook the food grown in the rooftop garden. 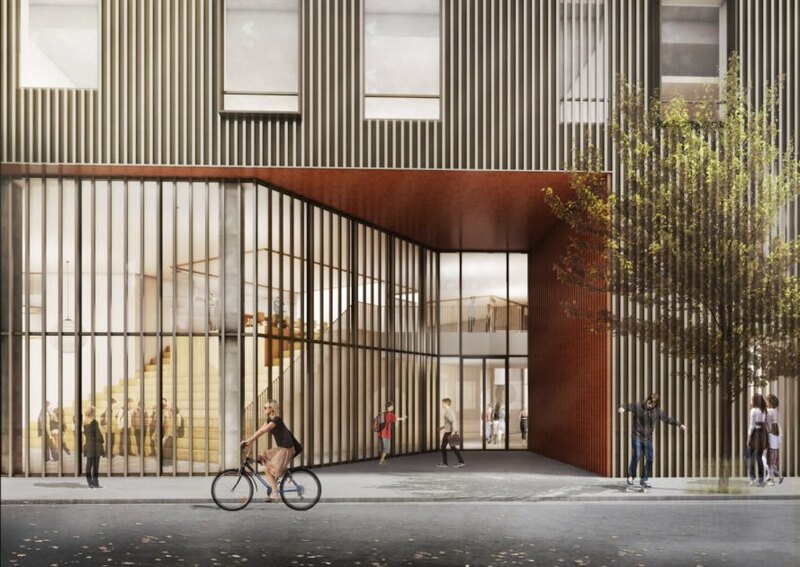 In addition to a landscaped roof, the building will feature rooftop solar panels and an array of energy-saving technologies. C.F. 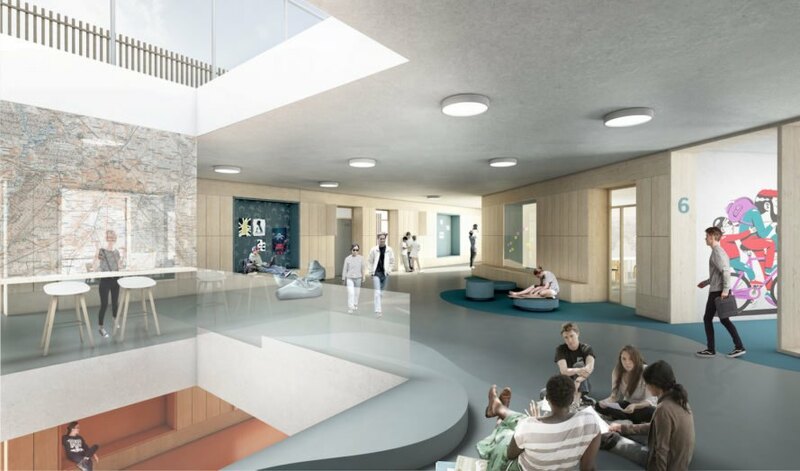 Møller Architects won the bid to design New Islands Brygge School in a competition last year. 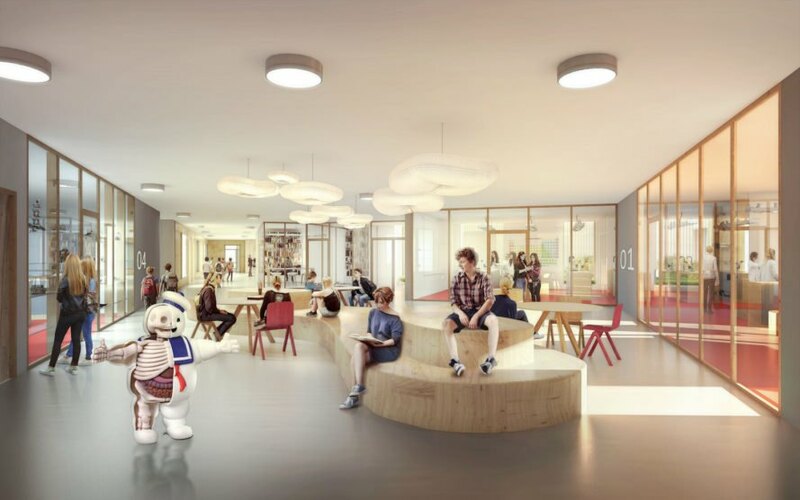 The school combines physical, sensory, and experience-based learning, which informed the architects’ vision to create a building that blurs the line between indoors and out. 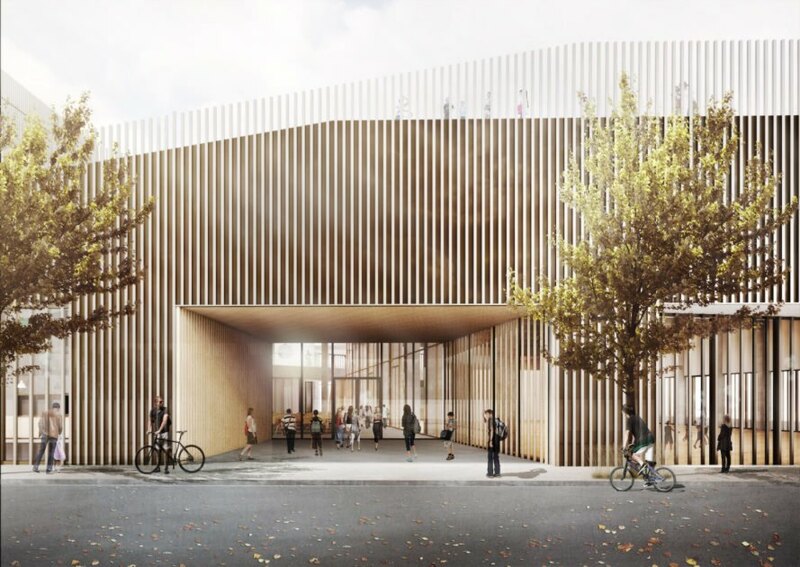 The triangular-shaped school takes design and material inspiration from the city, port and commons. 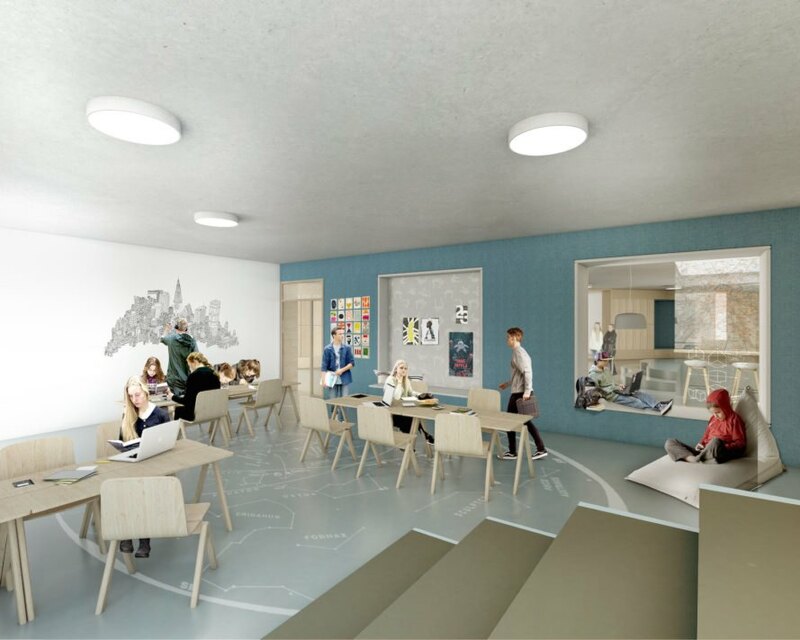 Since food is a major theme of the school, a double-height dining hall is placed at the heart of the school to serve as the focal point and main hub. Two kitchens flank the canteen area. Students also interact with food in other ways through greenhouses and urban gardens, and even in outdoor kitchens and a campfire for open-air cooking. 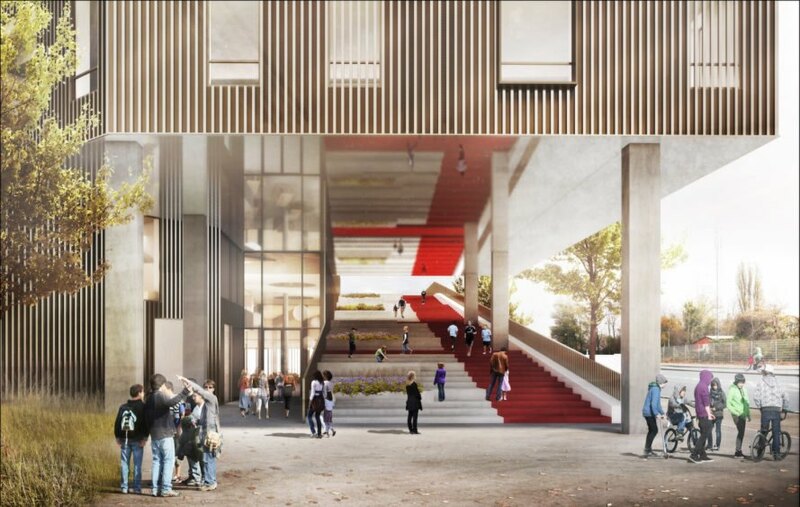 Physical activity is also important in the curriculum and so the architects created multiple outdoor recreation areas on the roof that include a running track, parkour area, and enclosed ball pitch. 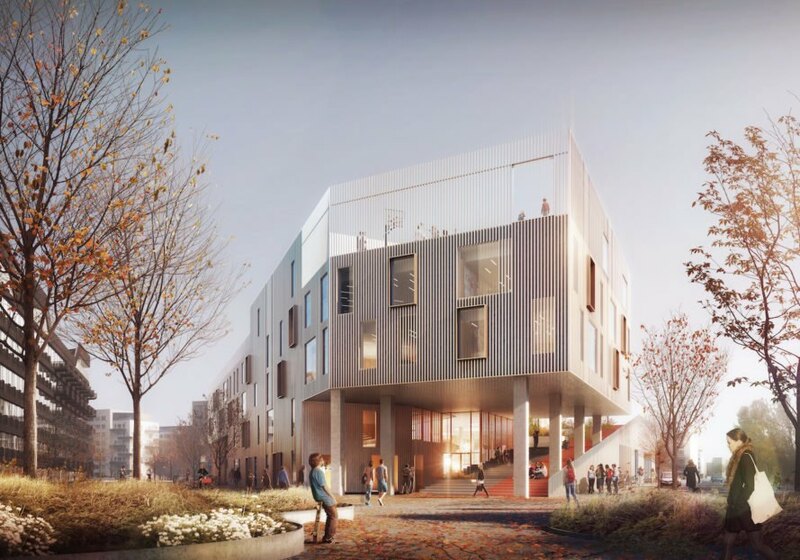 The building is built to follow the strictest Danish low-energy code 2020 and includes ventilation with heat recovery, natural ventilation, daylight-controlled lighting, and a highly insulated envelope. C.F. 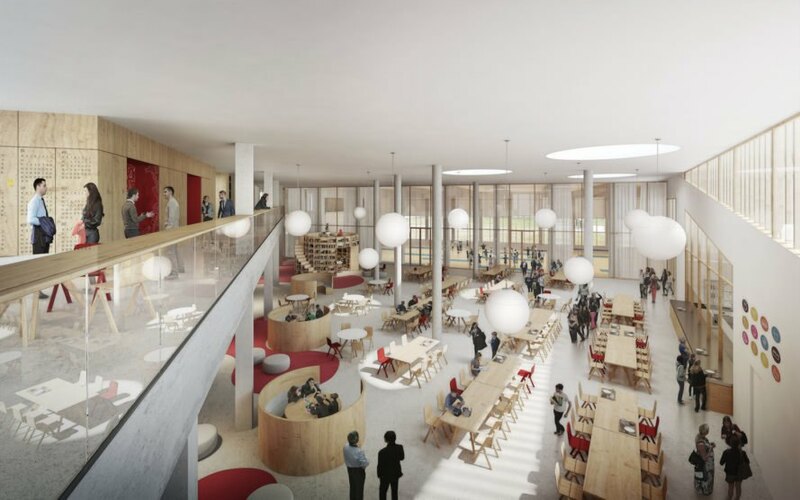 Møller has unveiled new renderings for the New Islands Brygge School, an innovative lower-secondary school that takes a more hands-on and experimental approach to learning. 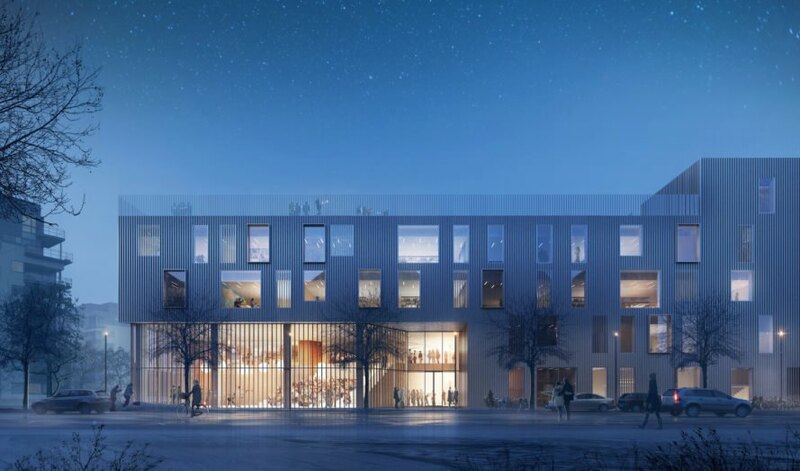 Located in the heart of Copenhagen, the 9,819-square-meter school will teach children how to harvest and cook the food grown in the rooftop garden. 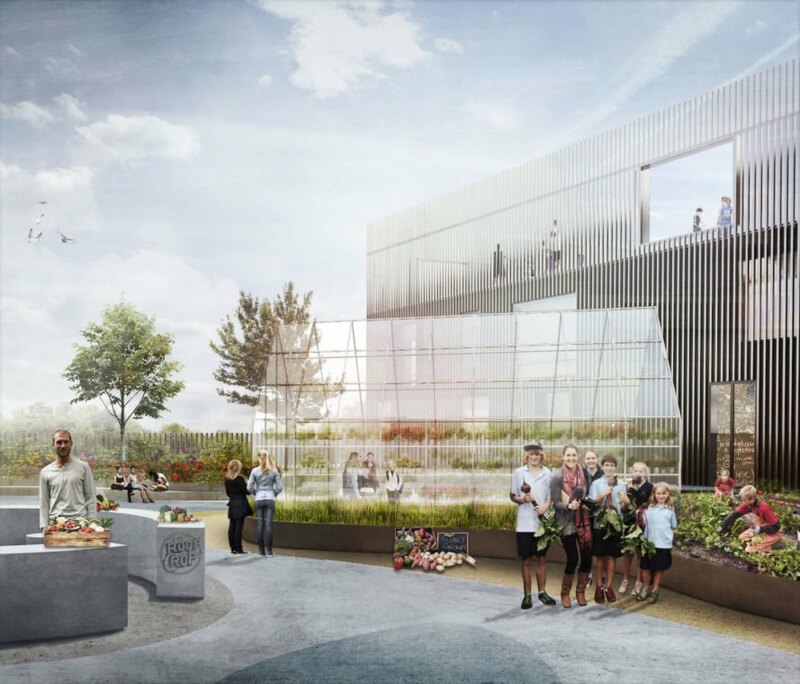 In addition to a landscaped roof, the building will feature rooftop solar panels and an array of energy-saving technologies.